Obagi MediSpa marks a groundbreaking new direction in medical aesthetics and skin care. Our state-of-the-art medical spa, a fully comprehensive treatment facility, blends restorative treatments with the latest advances and most definitive technologies in skin repair, resulting in complete skin-health restoration. Our programs address the damage at its source, ensuring clear, firm, healthy, younger-looking and younger-acting skin. 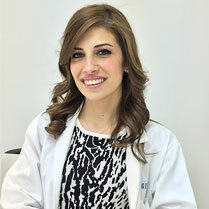 Obagi MediSpa is the first medical spa in the Middle East solely devoted to Obagi Skin Health Restoration treatments based on the philosophy of Obagi. Our carefully selected team of Dermatologists, Plastic Surgeons, and highly skilled healthcare personnel provide guidance to everlasting skin and body health through a wide array of services, from medical-aesthetic facials, procedures and laser treatments, to fat and cellulite reduction and cosmetic surgical procedures. Our daily commitment, as reflected in our customized, physician-supervised treatment programs, is to restoring healthy, vibrant skin.This is our mission and our goal. 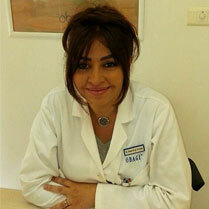 Obagi turned the dermatology world upside down. They demanded a higher standard for skin care and pioneered the concept of skin health restoration; the principle by which all cellular functions of the skin are corrected at a deep cellular level rather than superficially. OBAGI MEDICAL products, a revolutionary line of prescription products has transformed skin and changed the face of skin care forever. Skin transformation remains the soul of OBAGI, a philosophy handed down to Suzan Obagi, M.D., Associate Professor of Surgery - Division of Plastic Surgery, Associate Professor of Dermatology at the University of Pittsburgh and one of the world's most acclaimed names in skin health restoration and cosmetic dermatologic surgery. Dr. Suzan Obagi has made an impact on the world by training physicians from around the globe on the latest in cosmetic and laser surgery. Obagi MediSpa offers you OBAGI revolutionary standards and expertise combined with Dr. Suzan Obagi's young and dynamic principles of skin health restoration and rejuvenation in a distinctive practice that combines the resources of a world-class medical center with the pampering services of a luxury spa. 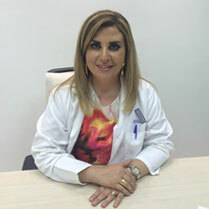 One of the world's finest cosmetic dermatologic surgeons, Dr. Suzan Obagi, M.D. holds a medical degree from the University of Pittsburgh School of Medicine and specializes in Dermatology and Cosmetic Surgery. Dr. Suzan Obagi, Associate Professor of Surgery - Division of Plastic Surgery and Associate Professor of Dermatology at the University of Pittsburgh, specializes in skin health restoration and cosmetic dermatologic surgery and has written numerous articles and book chapters on skin health restoration, fat augmentation/fat transfers, chemical peeling, dermabrasion and laser resurfacing. Affiliated with a leading academic medical center, the University of Pittsburgh Medical Center , Dr. Suzan Obagi has trained doctors from around the world on Dermatologic Surgery, Cosmetic Surgery, and Skin Health at her medical center and her medispa: UPMC Cosmetic Surgery and Skin Health Center, Pittsburgh, USA. These unique centers offer the latest in cosmetic surgery and non-invasive procedures including the most advanced lasers and light-based technologies, tumescent liposuction of the body and face, blepharoplasties, rhytidectomies, fat transplantation, laser resurfacing, chemical resurfacing, microdermabrasion, collagen fillers, botox, sclerotherapy, and scar revision. Profesionally, Dr. Suzan Obagi works on many journal editorial boards and serves as the Vice-President of the American Board of Cosmetic Surgery and is the President of the Cosmetic Surgery Foundation.